Your local Medford, Moorestown, Mt. 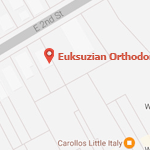 Laurel, and Marlton, NJ orthodontist and his team have made it their mission to provide you with the most affordable, high quality treatment that fits within your budget. Our goal is for you to be able to make an informed decision based on your specific diagnosis and financial needs. We are happy to answer any questions about financing options, credit card payments, and bank drafts that you may have. If you have an insurance plan that covers orthodontic treatment, then you can receive the benefit of reduced personal costs. It is important to remember that insurance policies vary, and we will review your insurance to determine the appropriate course of action. Your claims will be filed once treatment has begun. To help us speed this process along, please complete the insurance questions portion on our new patient form. Also remember that orthodontic insurance is a benefit, and if your benefits ever change, please be aware that you or your party are financially responsible for all charges. If you have any additional questions about payment options or insurance benefits, or you would like to schedule an appointment, do not hesitate to contact us at (609) 654-0600 for our Medford office or (856) 234-2992 for our Moorestown office. We know that figuring out payment plans can be a bit stressful, but rest assured that we will work with you to find the option that fits your needs. 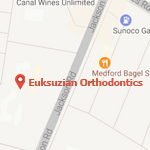 We look forward to seeing you in our Moorestown and Medford orthodontics practices soon!